Just like the rest of your body, ageing tends to affect your eyesight as well. 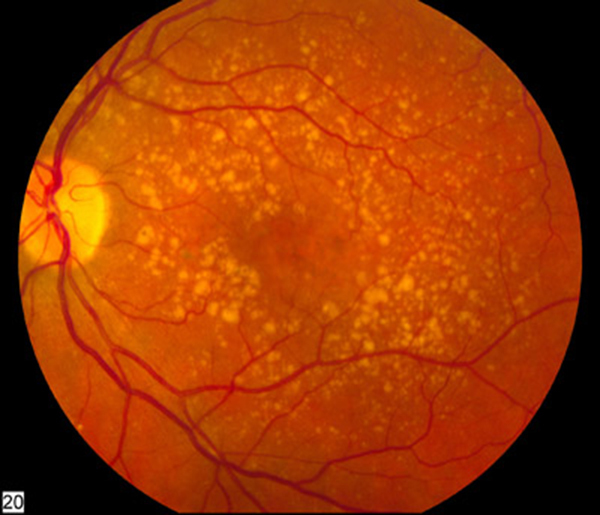 Age-related macular degeneration (ARMD) is a problem occurring due to the various changes in the structure of the central retina that tends to affect the eyesight of an individual. Commonly, this problem is more prominent in individuals above the age of 50 years. The pace at which ARMD advances varies from person to person. In some cases, the progress of this degeneration is so slow that the loss of vision occurs at a later stage in life. However, sometimes the progression of ARMD is quite fast and can lead to loss of vision in one or both eyes. ARMD is also a condition that can cause irreversible blindness in the eye. Age-related macular degeneration is a condition where the affected individual tends to lose his or her eyesight due to the degeneration caused in the macula which is located at the centre of the retina. The macula is made of several light sensing cells that are responsible for providing the sharpness in your vision. The macula is also the most sensitive part of the eye. One of the major factors that increase the risk of age-related macular degeneration is age. As you grow older, the risk becomes higher. Ideally, people above the age of 50 need to be extra cautious in order to prevent the disease. Both genders are at an equal risk of contracting the disease. Those with a hectic lifestyle, which includes habits like smoking, are also at a greater risk of developing the disorder. Before talking about the diagnosis and treatment, you need to familiarise yourself with the types of ARMD. Age-related macular degeneration is of two types – Nonexudative ARMD and Exudative ARMD. Nonexudative ARMD is a condition that is associated with the presence of deposits (Drusen) at the posterior pole of the retina. Usually, patients developing Nonexudative ARMD will not experience loss of vision in the initial stages. On the other hand, Exudative ARMD is a condition in which there is a development of membranes called chorio-retinal neovascular membrane (CRNVM), which in turn can lead to bleeding in the subretinal space. This type of ARMD, if left untreated, can lead to scar formation at the macula and irreversible visual loss. 1) Central Visual Loss: The functional loss will be an inability to read and do other near activities of daily living. 2) Central or Paracentral Scotoma: Which means the patient will experience a black shadow in the central field of vision. 3) Metamorphopsia: Which means the patient will experience distortion in the vision. The process to detect Nonexudative ARMD starts with a clinical examination of the eye which includes procedures like Amsler grid to document distortion of the vision, Slit Lamp biomicroscopy, as well as fundoscopic examination. Other advanced tests are Optical Coherence Tomography (OCT), fundus fluorescein angiography and ICG angiography to detect the presence of the CRNVM and other retinal changes. ARMD is not a curable condition. Once affected, treatment is the only option to slow down further degeneration. In case of Nonexudative ARMD, the treatment of the patient varies in accordance to the extent of damage he or she has suffered. One of the commonly opted treatments is antioxidant therapy. Treatment for this form of ARMD includes Anti-vascular endothelial growth factor (Anti-VEGF) injections given inside the eye (intravitreal). Follow up is done at monthly intervals until the CRNMV lesion in inactive. Visual loss is then managed with low vision devices and rehabilitation. According to several researches, it has been proved that the occurrence of ARMD is linked to the lifestyle of the individual like smoking, drinking, chewing tobacco, and exposure to UV radiation. Lifestyle changes can reduce the risk of ARMD. Following a balanced diet can also be extremely helpful when it comes to preventing the occurrence of the condition. Include more green, leafy vegetables and fruits in daily meals as they are rich in several important minerals and nutrients required for the well-being of the eyes. One can do this by increasing the amount of raw salads that one consumes. For non-vegetarians, fish is a richer source of nutrients as compared to the other types of meats and must be included in the weekly diet. One should also be regular with health check-ups.